Warehouse and industrial unit for rent at Ang Mo Kio. 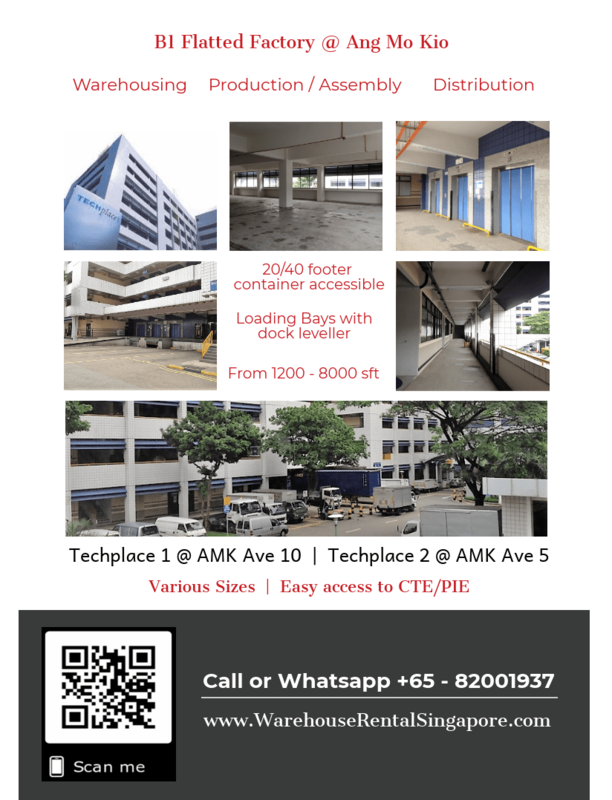 Conveniently located near to Ang Mo Kio and Bishan neighbourhood, Techplace 1 @ Ang Mo Kio Ave 1 and Techplace 2 @ Ang Mo Kio Ave 5 offers a practical industrial and warehouse rental space suitable for clean and light companies. Various sizes are available for warehousing, production, distribution, assembly, and packaging, and office space (within URA 60/40 rule). Most units available are in bare condition with some rare occasion where there are fitted units for take-over. Suitable for clean and light industry. Units accessible by cargo lifts. Plenty of loading bays available with wide driveway. Every unit has a good facing towards open air compound to bring in fresher air and synergy. Call +65- 82001397 for discussion.